pee-wee herman – i swear to goth. I want your skull… for breakfast. You’re not going to believe this, but today’s Halloween post is brought to you by Pee-Wee Herman’s Facebook post. Do I get extra goth cred for that? 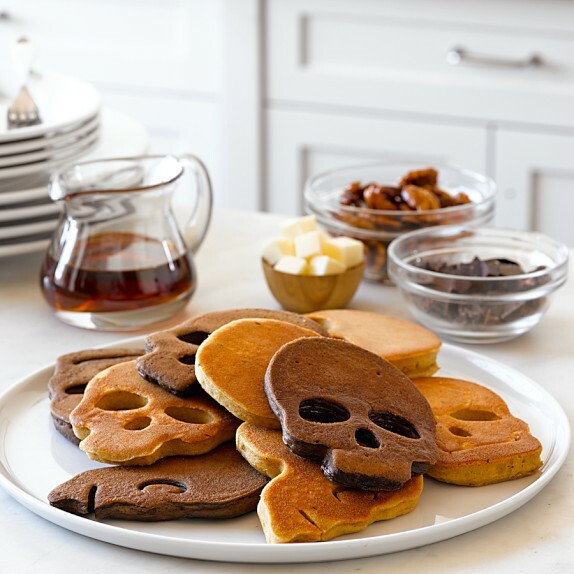 Today Pee-Wee, in all his excitement for Halloween approaching, posted skull pancake molds by Willaims- Sonoma. Kinda pricey at $20 for a set of three molds, but how great would it be to indignantly say “I eat skulls for breakfast!” and then actually do it?! Worth the price, I say!